This repair service typically takes 1-2 business days. 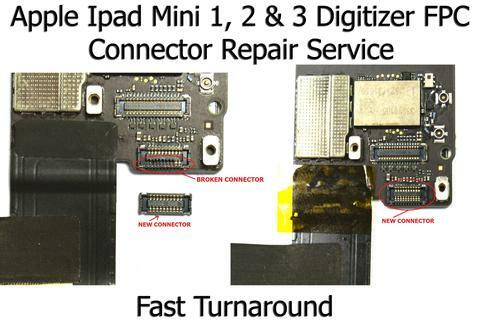 To have your ipad mini digitizer connector repaired, use our mail-in repair service. Once we receive the device, we will install, test and then send back within 2-3 business days. Rush services are available. Please contact us before sending in if a rush service is needed.